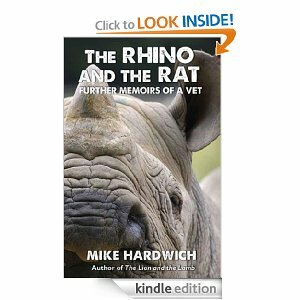 For Kindle owners, Mike Hardwich’s e.books are now available to download. 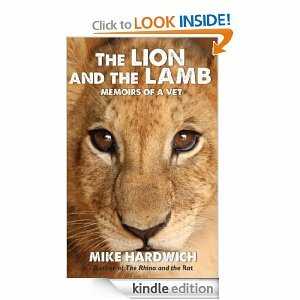 Click HERE to go to Amazon’s page for The Rhino and the Rat and click HERE to go to Amazon’s page for The Lion and the Lamb. A photograph captures nine youngsters celebrating their friend’s 21st birthday in 1962. Two of the nine were to serve prison sentences for their active opposition to apartheid, one was murdered, and another, the author, did a spell in solitary confinement before being exiled. This moment, frozen in time, shows the youngsters on the brink of extraordinary journeys: Alan Brooks, imprisoned for two years for sabotage and deported upon release; John Clare, who became the Education Editor for the Daily Telegraph; Stephanie Kemp, the first white woman assaulted during detention, exiled and later the wife of Albie Sachs; Roger Jowell, who became Professor Sir Roger Jowell, founder-director of Britain’s National Centre for Social Research; Sally Frankel, who emigrated to Australia; Jonty Driver, detained in solitary confinement, then exiled; Jann Parry, who became a dance critic for the Observer, now an award-winning author; Rick Turner, outspoken activist, shot dead on his own doorstep probably by a government agent; and Barbara Hubbard, who became a British MP and a minister, now married to novelist Ken Follet. This autobiographical look at the nine youngsters spans a history of activism, bombings, arrests, exile, passionate commitment and occasional regret. An earlier version of this essay was first published in Granta 80, Winter 2002. C.J. 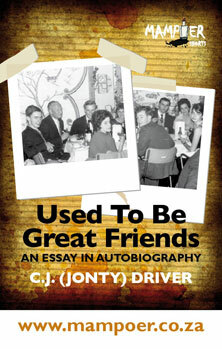 (Jonty) Driver, South African-born poet, novelist and essayist, based in the UK. President of the National Union of South African Students (NUSAS), in 1963 and 1964, and held in solitary confinement by police on suspicion of involvement in the African Resistance Movement. While a postgraduate student at Trinity College, Oxford (1965-7), he was refused a passport and was stateless for five years until becoming a British citizen. He remained a prohibited immigrant in South Africa until 1991. When I meet people who were young in South Africa in the 1970s, they are always much more impressed that I once shared a house with Richard Turner than with the fact that I was president of NUSAS. I wish now I had spent more time with him in those months in Cape Town. When I showed John Clare the photograph of his own 21st birthday party, he called the young woman next to Rick Turner the ‘star of the show’ – and I suppose she is: she is Barbara Follett, from 1997 the MP for Stevenage, though now retired from Parliament, a specialist in management training, ‘style consultant’ to New Labour, and often credited with having helped make the Labour Party more attractive to the urban middle-classes, to women, and to the young. She was one of the founders of ‘Emily’s List’, which promoted the election of Labour women to Parliament. Her present husband is the immensely successful thriller-writer, Ken Follett, and they own homes in Stevenage, Chelsea, Antigua and Tuscany. Gossip had it that they were among the closer friends of former Prime Minister Blair and Cherie Booth QC, though there was a public falling-out in 2000, in which some nasty words were said, with offence given and no doubt taken. At the time of the photograph, Barbara was Rick Turner’s girlfriend, pretty, bright, and seemingly at once both young and sophisticated. Born in the West Indies, she had lived in England and in Ethiopia before coming with her family to South Africa in 1957. Later, she and Rick married – the ceremony was in the garden of John Clare’s Cape Town flat, and it is a nice touch that John was called to be a witness of what Barbara said was to be her ‘last marriage’. Barbara and Rick had parted and divorced some years before he was murdered, but she has written movingly of having been called to help by their distraught children after the murder. This is the real-life story of Trevor Vilakazi, son of a domestic worker, who was raised by the white family for whom she worked. Trevor grew up in middle-class suburbia, living the life of a kid from an affluent, white family. The white family treated him as one of their own children and gave him everything they could to give him a better shot at success in life. The language he grew up speaking was English, the food he grew up eating was ‘white’. But when Trevor was midway through high school, his life changed. The family moved away from Johannesburg. Suddenly, Trevor found himself in the harsh environment of Diepsloot informal settlement where he became an outsider: insecure, bullied and teased. The culture and language barriers he now faced changed his life. Trevor’s unusual story as a ‘coconut’ in Diepsloot provides a fascinating glimpse into the ambiguities of race relations in the post-apartheid South Africa. Mugabe publishes the fortnightly newsletter of the Diepsloot Community (Diepsloot.com) aimed at promoting citizen journalism and giving the community a platform to communicate with the outside world. 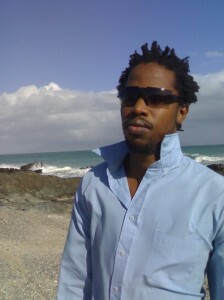 He also founded a website of pan-African commentary by young African writers (feintandmargin.com). Mugabe has a BA Degree in Philosophy, Politics and Economics from UNISA. 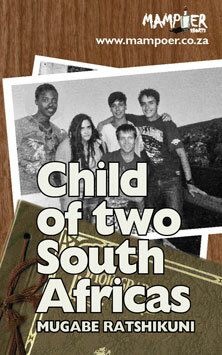 He spent six years as a student pastor for His People Church at the University of Cape Town. Mugabe‘s MampoerShort was made possible through Mampoer’s Mentorship Programme, and was financed by the Kgolo Trust, which supports young black writers. It’s a beautiful, warm, typical Johannesburg Saturday evening and four teenagers are home alone, watching television and drinking rum with tequila shots in between whilst their parents are out jolling. These kids are all buddies who go to Fourways High School, a co-ed public school situated in the middle of affluent middle-class suburbs in northern Johannesburg: Bryanston, Lonehill, Randburg, Chartwell, Magaliessig, Jukskei Park, and Northriding. A doccie comes on which piques their interest. Immediately the conversation stops as they focus on the television screen. The documentary is about a community called Diepsloot, the ‘ugly child’, if you will, of northern Johannesburg (at least that’s what the popular narrative says). Diepsloot is a post-1994 informal settlement in northern Johannesburg, with government-built, small, one-roomed houses, commonly known as RDP houses, and a seemingly endless collage of shacks. It is known as a hub of crime, xenophobia, HIV/Aids, violence, teenage pregnancy, extreme poverty, service delivery protests and any other post-1994 South African negative phenomenon that you can think of. True to form, the documentary is about xenophobia in Diepsloot. It shows a mob beating to death an innocent migrant for the ‘crime’ of being a foreigner. In between the gory scenes, they interview community members who aggressively state that they don’t want foreigners in their midst and will be doing everything they can to remove them, even if it takes violence to do so. Amongst this group of youngsters is a chap called Trevor Vilakazi, the only black kid in the group (a ‘new South African’ racially-mixed bunch). Unbeknown to the other kids, he actually lives in Diepsloot, something he has kept a secret from his mates. Trevor is that most interesting of ‘new South African’ kids – raised by a white family for whom his mom worked as a domestic worker. He grew up in middle-class suburbia and lived the life of a kid from an affluent white family – in his case, the Friedmans. They treated him as one of their own and gave him everything they could in order to give him a better shot at success in life. They made sure he attended some of the best schools in northern Johannesburg and contributed to his school fees. His mother has only been too grateful for the help they gave her son and like all mothers, wants to see her son succeeding in life and breaking the cycle of poverty within the family. For Trevor, growing up as he did, places like Diepsloot were once a far-off reality. His reality was northern Johannesburg suburbia and all the perks that come with living in that kind of space. But when he was midway through high school, his life changed. 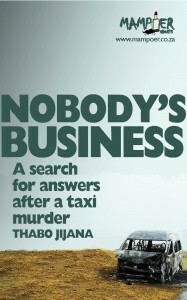 New from MampoerShorts, an eBook publisher, is Nobody’s Business: A search for answers after a taxi murder by Thabo Jijana . In 2003, Thabo Jijana‘s father was gunned down in a scrap between rival taxi associations who had been forced to operate from a single rank. A decade later, Thabo faces up to South Africa’s most violent industry to try to figure out how and why his father was murdered. Thabo Jijana was born in Peddie, in the Eastern Cape, not far from the town where the late Steve Biko, founder of the Black Consciousness Movement, was born. 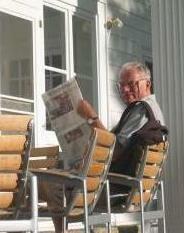 His journalism work has appeared in The Herald, Weekend Post and Grocott’s Mail. Thabo’s MampoerShort was made possible through Mampoer’s Mentorship Programme, and was financially supported by the Kgolo Trust. Click HERE to purchase this eBook. The same fear and disinclination that greeted me on that first day in Gwejela’s office would persist throughout months of research. A policeman shuddered at the thought that I would want to read a police docket and analyse witness accounts of my father’s murder; taxi drivers were quick to point at each other as soon as I made my intentions known, unwilling to talk about guns and fighting, as though they would be contributing, in some indirect way, to renewed violence. A friend I bumped into on one of my research trips, and who knew my father well, warned me never, ever, ever, to join the taxi industry. “What happened to your father was not pleasant,” said Nozibongo Rhobo with a worried look on her face. Nozibongo and I met at our parents’ church and have known each other since childhood. “Find a job somewhere else”, she counselled. The more I spoke to people, the less the story became about analysing the Peddie-King taxi war with an eye towards attempts by government at recapitalisation, than about uncovering what really happened before and after life escaped from my father’s body and the police began their work. In trying to get to the heart of the event that has haunted my life since 2003, I needed to find out what kind of man my father was. When a liberation struggle hero’s son tries to find out more about a deceased parent who took up arms, joined the struggle and died in exile, he turns to the history archives. But in my case, there are no official archives. So I started by speaking to the people who knew him best – relatives, family friends, neighbours and his old acquaintances – to fill in the blanks that are the days, months, years following my father’s death. Had the police ever arrested anyone? Had any good been gained from the death my father and countless others such that these lessons could be given proper attention? Gwejela knew the Peddie-King taxi war as well as any person I could find. But he seemed surprisingly impatient — edgy, might be the right word – given that I would go on to broach the same questions with others who never asked me for so much as a business card to validate my credentials. I could understand his concern that I might be looking out for people to blame for my father’s death or some other ulterior motive. But I felt peeved at the implication that I was, at 25, too young or, even, in way over my head with this business of taxi wars I knew nothing about. For my mother to travel from my home village, a good, long thirty minutes from the town itself; she would need to miss work and wake up too early in the morning, or wait upwards of an hour for a taxivan at our village stop – just so that she could confirm that she had given me permission to make the visit. It was an inconvenience I would have rather not put her through. (In the villages, where Xhosa custom still holds, children are expected to know their place, so that regardless of your profession, you still regard your elders as superior figures; a parent’s blessing is everything.) As for my sincerity, my looks should have sufficed. I have inherited my father’s sullen eyes and, like him, I tend to speak with my hands when I get emotional. I wore a black blazer with my best pair of chinos and decent-looking moccasins. “The interview will not take long,” I heard myself protest.